As announced by the U.S. Navy, the amphibious ready group led by USS Boxer deployed from San Diego on Friday. The USS Boxer left Naval Station San Diego on Friday at 8 a.m. for the Western Pacific and Middle East. The amphibious ready group consists of the 847-foot amphibious assault ship USS Boxer, the 684-foot amphibious transport dock USS New Orleans, and the 610-foot amphibious dock landing ship USS Harpers Ferry. Aboard the ships, there will be approximately 2,400 Marines from the 13th Marine Expeditionary Unit stationed at Camp Pendleton. According to the U.S. Navy, the amphibious ready group will focus on maritime and theater security. Also stated by the Navy, all sailors and Marines will be prepared for any amphibious assault, Special Forces operations, humanitarian missions and non-combatant operations if needed. According to military.com, the USS Boxer will be creating a piece of history during this deployment by becoming the first Naval vessel from the west coast to deploy with the MV-22 Osprey aircraft. The USS Boxer-led amphibious ready group is motivated to deploy and protect our nation, and their continual achievements showcase their extraordinary talents. Using San Diego’s public transportation is as easy as 1 â€“ 2 â€“ 3! Getting a ride around San Diego is never as easy as with San Diego buses and trolleys. With an extensive map and timely schedules, you can travel around America’s Finest City in search of city life, coastal living, and everything in between. This is just how simple your transportation can be with San Diego’s bus and trolley system. The best part about taking San Diego’s buses and trolleys is that daily and monthly passes are sold for UNLIMITED use of the buses and trolleys! You can go anywhere you’d like for the entire day or month for one flat rate. Forget pricey car rentals and escalating gas prices; you can save with San Diego’s public transportation. The San Diego bus and trolley schedule is easy to use and it’s available on our website along with trolley and bus routes and maps. With the bus and trolley schedule, you can plan your trips and route them accordingly with the help of these important guides. It’s hard to get turned around with San Diego’s efficient bus and trolley system. Look on our website for our San Diego bus and trolley schedule! 3. 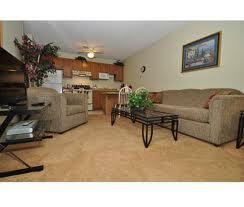 Hop on from your Convenient Housing at Foxwood & Get on Your Way! Once you have your bus and trolley pass and you know where to go, you can be on your way to San Diego’s beaches, downtown area, shopping centers, and historic sites in no time at all! The 933 bus stops just across the street from Foxwood Corporate Apartments. Hop on and be on-the-go in minutes with unlimited access to America’s Finest City. Come explore San Diego with Foxwood Apartments and fast public transport! Although San Diego’s shipyards have experienced a downturn in their work throughout the sequestration, these shipyards have seen things shift into a more positive direction within the last six months. The U.S. Navy was forced to reduce the amount, which would be spent for ship repairs and maintenance. Luckily, more money has been able to free itself, allotting the Navy with much more freedom to continue with ship repairs. The recipients of these Naval ship repairs are the local shipyards BAE Systems San Diego Ship Repair as well as General Dynamics-NASSCO. BAE Systems was awarded $38.6 million to work on the USS Benfold, San Diego’s Naval destroyer with special missile defense equipment. This will mark a quick return to the shipyard seeing as the 505-foot ship was at BAE Systems just two years earlier for a major overhaul. This maintenance contract will focus on improving combat systems. Next door to BAE Systems is General Dynamics-NASSCO, another large shipyard in San Diego. General Dynamics-NASSCO has been awarded $13 million from the U.S. Navy to maintain and enhance the 33-year-old USS Peleliu. The amphibious assault ship Peleliu is based in San Diego and is one of the oldest large ships in the U.S. Navy. Both of these ships are in for minor overhauls consisting of improvements and enhancements. BAE Systems San Diego Ship Repair and General Dynamics-NASSCO are both pleased to have the opportunity to repair these heroic Naval ships. If you’ve been searching for a quick meal to throw together for dinner, this is it! 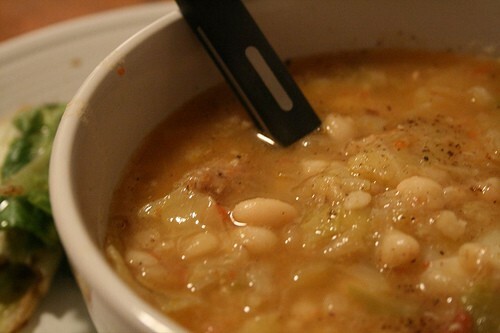 This delicious garlic white bean stew is packed with nutritional value and it’s a dish that the whole family will love. With the new super food kale as a key ingredient, this white bean stew is rich with Vitamin K, which helps to keep bones healthy and fight prostate and liver cancers. 1. Heat two tablespoons of coconut oil in a large pot. Slice the onions and add to the pot along with a few pinches of sea salt, chili flakes, bay leaves, and paprika. Cook for a few minutes, stirring until the onions have softened. Add sliced garlic cloves and cook an additional minute. If the mixture seems thick, add a little juice from the canned tomatoes. 2. Add all other ingredients and bring to a boil. Season to taste and serve with a drizzle of olive oil. 3. If you plan on simmering your stew prior to eating, add the kale leaves just 5 to 10 minutes before serving to preserve its nutritional value. Enjoy! This white bean and kale stew was found inÂ Whole Living.